The word “niche” is from the French word nichier, which means “to nest”; more to the point, a niche is (by extension) “Any position of opportunity for which one is well-suited, such as a particular market in business.” Hence the two main niche paints listed below represent some of the most unique products on the market today which can help establish your business as a specialty company or give you creative possibilities in your home or office. The last paint listed is just for fun. Enjoy! Idea Paint www.ideapaint.com “Idea Paint's award-winning dry erase white-board paint transforms any smooth surface into an erasable canvas.” I love the idea of idea paint. What a concept to be able to have infinite possibilities with design. 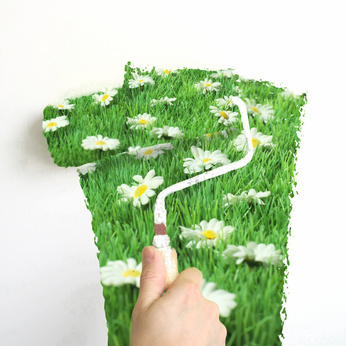 You can use Idea Paint to “transform walls, desks, tables, columns, and furniture into interactive think-spaces!” With its environmentally responsible green guard certification, you can be sure that you will not compromise indoor air quality. This is a great paint that offers flexibility and is easy to install. The Slogan “Turns spaces into creative places.” Annie Sloan Paint Want to take a drab piece of furniture and make it look radical. 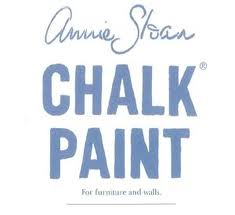 Try Annie Sloan’s chalk paint. With such a range of bold hues a person can never be bored. Change the look even further by following up with the Annie Sloan wax to age and give texture to your piece. I find that the paint is easy to work with and allows me to be creative. I absolutely love that there is little to do to prepare a piece for application as this paint was designed to hide all the flaws and there is no need to prime. Has low VOC’s (Volatile organic compounds) so this makes it exceptional for the environment. So let your mind wander about all the possibilities. The Slogan “A unique paint in 24 decorative and historical colors.” And probably voted the best kind of paint of all is….ta da. Finger-paint! 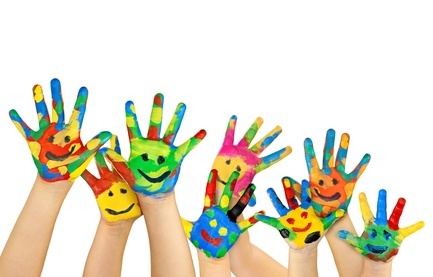 Kids seem to love anything that is messy, Moms, not so much. But wow what a way to keep them busy all day especially on a rainy day. Make it fun with these two simple recipes. Then maybe you can get your own kind of painting done. Wacky Paint 1-tlbs corn flour 1 tlbs cold water Combine and make into a paste then add 1 cup of boiling water Sparkle Paint 2 tlbs sugar ⅓ cup cornstarch 2 cups water ¼ cup liquid dishwashing soap Place sugar, cornstarch and water in a saucepan and bring mixture to a boil over medium heat, stir constantly until the mixture thickens. Stir in the dishwashing soap. With either recipe, you need to divide up and add some drops of food coloring and place in jars with lids. This entry was posted on Thursday, May 10th, 2012 at 5:55 am	and is filed under Home Design. You can follow any responses to this entry through the RSS 2.0 feed. You can skip to the end and leave a response. Pinging is currently not allowed. Thanks for the feedback….I will keep the article posted.